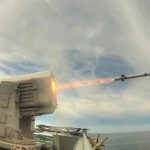 Independence-class littoral combat ship USS Jackson (LCS-6) fires a SeaRAM missile against an aerial drone, destroying the target in a test off the Southern California coast. 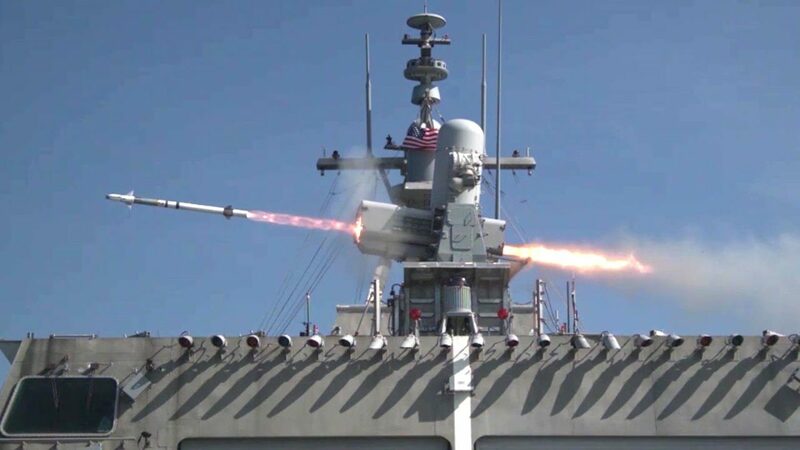 The SeaRAM weapon system combines the radar and electro-optical system of the Phalanx CIWS Mk-15 Block 1B (CRDC) with an 11-cell RAM launcher to produce an autonomous system—one which does not need any external information to engage threats. 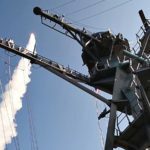 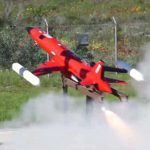 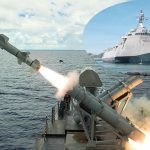 The drone was simulating an anti-ship missile as part of a Combat System Ship Qualification Trials (CSSQT) event to demonstrate the self-defense capability of the ship against an aerial target. 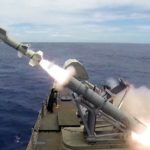 Posted On May 4, 2017 in Military, Navy with 0 Comments.Tagged: Anti-ship missile, Drone, Littoral Combat Ship, Missile, SeaRAM, USS Jackson, weapon.